I can get a good loaf of “French” bread at the local Jewel food store. It’s got a complex taste, elastic crumb and chewy crust. The baguette that I’m thinking of might be from “La Brea” bakery of California – maybe frozen then baked fresh today. We’ve had American wines, cheeses, breads and restaurants comparable to what you might find in France for some time. The difference is that in Paris, I walk into a boulangerie and request my bread from a French woman who will not permit me to order in English. If I lapse into my native tongue (I blurted: “does that have grains & seeds?” when ordering a pain aux cereales) she commences a squawking – like a wolf has entered the hen house. And I respect it, admire it and pray that it will never change. 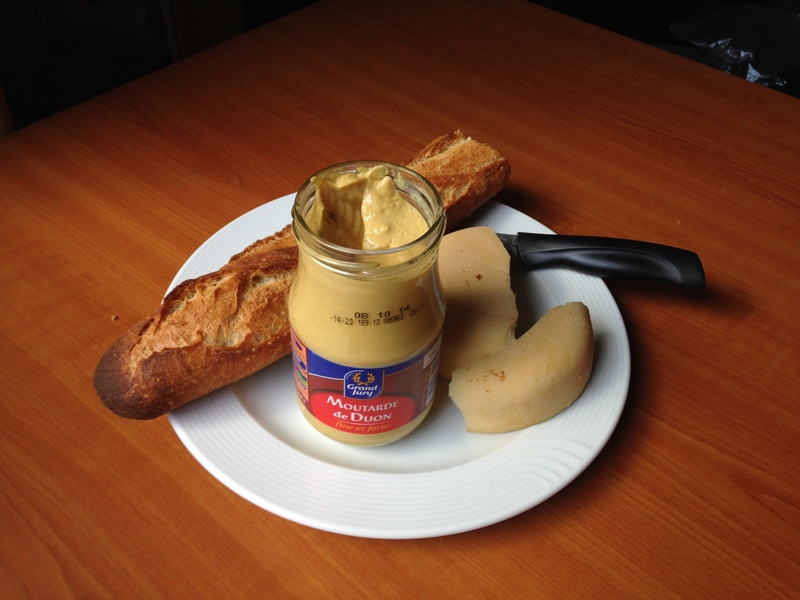 This is one of my Parisian simple pleasures. If they could do that at my local Jewel, I wouldn’t need to book the expensive flight to France. This entry was posted in Food, French (Terminology).